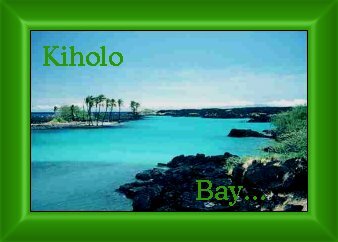 Located about 15 miles North of Kailua-Kona is Kiholo Bay. 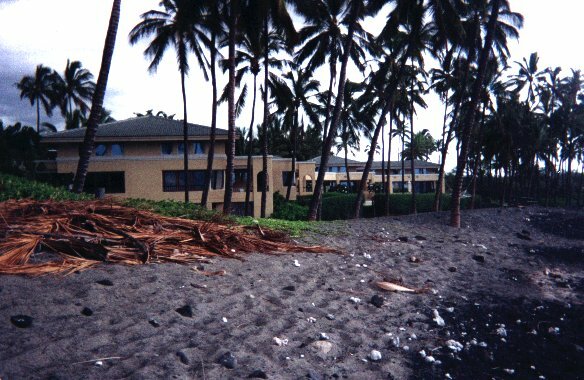 Accessible only by hiking across a couple miles of lava flow from the highway this bay is a favorite hangout for the Green Sea Turtle, the major focus of this page. The hike is hot but fairly easy (compared to some) and the bay is worth the effort. The snorkling is not as spectacular as say Kealakekua bay, but the lava formations around the edge of the bay are interesting. 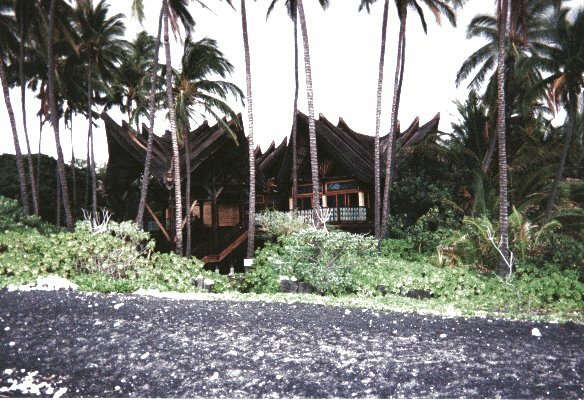 Just a few hundred yards to the south of the bay is this interesting house, built in Bali by native craftsmen and then disassembled and shipped to Hawaii and reassembled here on the beach. Unfortunately the dryer climit caused some of the wood to dry out and caused a nightmare of corrective construction. All this was done by Paul Mitchell of hair salon product fame. I do hope to get back to the bay before too long and get some more and hopefully clearer pictures, so check back now and then and see if I make it..